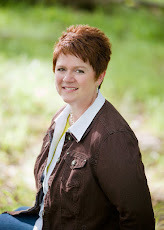 Margo Kelly: It's a #Book Deal! I'm thrilled to announce that my second book, UNLOCKED, will be published by Merit Press (the YA imprint for F+W Media)! "Margo Kelly's UNLOCKED, pitched in the vein of Lois Duncan, in which straight-laced Hannah chooses to participate in a hypnotism show at the local fair, but when the hypnotist leaves her mind open to suggestion, Hannah must learn to block out the demons that toy with her sense of right and wrong before she ends up killing her boyfriend to appease the demons, to Jacquelyn Mitchard at Merit Press, by Brianne Johnson at Writers House (World English)"
The idea of having a second book out in the world is beyond wonderful, and I'm so excited for you to read it! Congratulations! I love Lois Duncan. In fact, I blogged about one of her classics just two posts ago. The subject of hypnotism has always been interesting to me. Years ago at a party, I watched in awe as a hypnotist, hired as an entertainer, got a dozen guests to do his bidding. I wasn't sure if it was for real, or if they were just playing along. I also watched the movie Dead Again more than once, wondering if it's truly possible for someone to be hypnotized into remembering a past life. So...the premise of your story sounds quite intriguing.